Do dandelions’ diuretic properties flow true? AS DANDELIONS come up all over our gardens, they are often seen as worthless weeds. Yet they have an ancient reputation as helpful herbs. Their scientific name, Taraxacum, is derived from two Greek words which mean “cure for inflammation”. The name dandelion comes from the French “dent de lion”, lion’s tooth, referring to the shape of the leaves. Another French word for dandelions is “pissenlit”, related to the way children used to fear that touching dandelions would lead to them wetting the bed. This folktale is based on the traditional use of dandelions as diuretics. A diuretic is a substance that stimulates the production of urine, which can be helpful in treating heart failure, high blood pressure and some kidney diseases. Children need not fear dandelion diuresis from simply touching the plants as herbalists claim that they must be ingested for this effect. The medicinal use of dandelions goes back to traditional Chinese medicine where they were used for a wide variety of kidney, liver and inflammatory diseases. The milky sap is said to be able to get rid of warts. In some parts of the world it is used to treat diabetes, elsewhere infections and in some places to stimulate the appetite. Its reputation as a cure-all has spread around the world as easily as its fluffy seeds are blown on the wind. Dandelions are also very nutritious, being excellent sources of iron, vitamin C, potassium and beta-carotene, from which vitamin A is made. Dandelion leaves can be added to salads, the roots can be roasted as a coffee substitute, the flowers used to make a wine and extracts made as flavouring agents for foods and drinks. Rather than trying to weed out dandelions, some parts of the world are embracing them as an important cash crop. Dandelion leaves have a bitter taste, which is due to numerous chemical substances. Many of these have been purified and found to have pharmacological effects. One extract was tested in rats and found to have good diuretic activity. Diuretics can cause adverse effects if they also cause excretion of too much potassium. Since dandelions contain potassium naturally, these side effects did not occur in the rats. However, very large amounts of extract had to be given to the rats to get the same diuretic effect as Lasix, a commonly used diuretic. 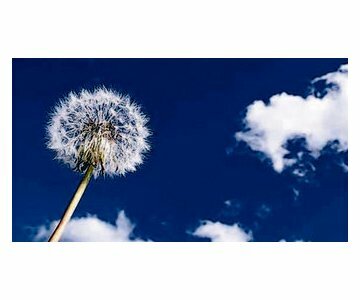 No studies using dandelions as diuretics in humans have been published. Other compounds have been isolated from dandelion extracts and found to have anti-oxidant, anti-inflammatory and other biological properties. But some of these compounds were found to have the opposite effect. Also, such small quantities were found in the extracts that researchers could not predict whether the plant or extract would contain enough to affect humans. None of these compounds have been tested in humans, nor have any controlled studies been conducted on dandelion extracts. Few or no adverse effects have been reported in the laboratory and animal studies with dandelions. But some people are allergic to dandelions, usually getting skin reactions although more serious reactions have occurred. Dandelions belong to the same family of plants as daisies, chrysanthemums and marigolds. Anyone who is allergic to any of these plants should not consume dandelions before being sure they are not allergic to them. Despite their ancient and widespread reputation, no human studies have been published on using dandelions to treat any human ailment. In contrast, their nutritional value is becoming better recognised. The US Agriculture Department ranks dandelion leaves as more nutritious than broccoli or spinach. They contain more beta-carotene than carrots. Before eating dandelions, make sure they have not grown in soil treated by herbicides or any chemicals, or grown close to roads. The hardy plants are difficult to eradicate partly because they absorb and store toxins and chemicals. Dandelions grown in uncontaminated soil can be nutritious, but evidence is lacking regarding their medicinal benefits.